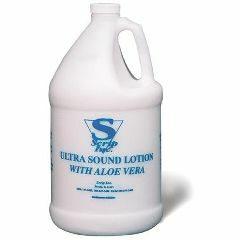 Medical-grade ultrasound lotion is specifically formulated as a superior, ultrasound, coupling agent, noted for its soothing, moisturizing properties. Provides an excellent electrical conductivity path. One gallon. Pumps for 1 gallon available .